Where are you in your educational path? A career in counseling is one that speaks to an individual that truly enjoys helping others. Providing more than an ear to listen, counselors deliver a wide-range of services in a variety of fields that includes education, rehabilitation, relationships, mental health, substance abuse, and behavioral disorders. To apply for most entry-level positions within the field, counselors must possess at least a bachelor's degree, whereas establishing a private practice requires licensure and a master's degree to be able to perform any clinical duties. Depending on your field, the journey towards becoming a counselor may include certification, getting an advanced degree, taking a state-recognized exam, licensure, and completing a certain number of supervised clinical experience hours. Some counselors must also continue their education on a yearly basis to maintain their credentials. The required educational path and licensing requirements for an aspiring counselor varies depending upon state regulations and a student's selected specialty area. In most cases, a minimum of a master's degree in counseling, psychology or social work is expected. The duties you want to perform will also affect your educational path towards a career in counseling. Students must also decide on an area of study to focus on. Education Counselors: Working with K-12 students or in a college setting, this type of counselor assists students in succeeding on both a personal and academic level. Rehabilitation Counselors: Working with people who have disabilities, rehabilitation counselors train to provide personal and vocational services to clients/patients. Substance Abuse and Behavioral Disorder Counselors: Clients come to this kind of counselor to work on issues concerning alcohol, drugs, gambling, and/or eating disorders. Mental Health Counselors: Treating individuals, couples, families and groups, mental health counselors address issues centered on anxiety, depression, stress, grief and low self-esteem. See a Full List of Counselor Career Fields Here. The field of counseling offers a wide range of employment opportunities that will only increase in the future. According to the U.S. Department of Labor, the job outlook for counselors anticipates up to a 37 percent increase in positions by 2020 – for mental health counselors. 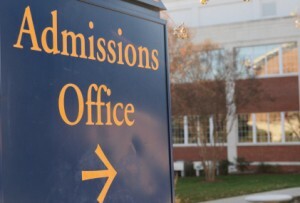 All other counseling fields stay in line with the national average or exceed expectations. There's a growing trend of more people showing an interest in seeking help for their personal and interpersonal issues. According to the U.S. Bureau of Labor Statistics (BLS) 2012-2013 Occupational Outlook Handbook, the overall salaries for counselors show median wages for school and career counselors in the $60,000 range. Some counselors working in elementary and secondary school settings can earn more than $86,000 per year. A graduate with a high school diploma and certificate training may find work in the counseling field, but faces limitations regarding his or her responsibilities, duties, and ability to assist patients or clients. Most employers prefer an applicant to possess a master's degree in a related field to gain employment as a counselor. An advanced degree (along with licensure) is a requirement to establish a private practice. Doctorate degrees in counseling or a related field allows an individual to conduct research, work in academia, or assume administration duties. It is the highest level of education that a professional can receive. Browse the information below, which offers plenty of options for pursuing an educational path towards becoming a counselor. Hopefully, making the decisions regarding various areas of study and the education needed to achieve specific career goals will become easier to achieve. Read more about online counseling degrees. Students with a high school diploma and certificate training may enter the field of counseling depending on their chosen type of work, setting, and state regulations. They may also receive on-the-job training for certain positions. Of course, their level of responsibility greatly differs from that of someone with an advanced degree. There are also fewer available job opportunities, which is why earning an associate's degree can create a better-rounded job applicant, as well as prepare a student to pursue higher levels of education, such as a bachelor's or master's degree. Getting an associate's degree and completing certificate training in a specific field can open the door to certain entry-level counseling positions. For example, an aspiring substance abuse/behavioral disorder counselor may complete coursework that touches upon professional ethics, alcohol, alcoholism and drug abuse, clinical writing, as well as drugs and behavior. Those who successfully complete a training program are then ready to counsel individuals battling with substance abuse problems, as well as can explain personal, interpersonal and social factors that can lead to substance abuse. Most associate's degree programs take two years to complete. A bachelor's degree in counseling or a related field (such as psychology or human services) can gain entrance to a range of entry-level counseling-related positions, such as a career counselor or a school counselor for elementary, middle and high school students. During this time, many students enter an internship, which offers a chance to build supervised introductory counseling experience. Coursework for a student interested in becoming a counselor may include studies in ethics, multicultural issues, abnormal psychology, human development, and behavioral science research methods. Some employers hire workers with a bachelor's degree in rehabilitation and disability studies to do rehab counseling. However, the employee faces limits as to the kinds of services they may provide. Coursework usually includes learning about the issues that people with disabilities encounter and about the process of providing rehab services. A bachelor's degree in almost any field can also gain a student entrance into most master's programs in rehabilitation counseling. In addition to earning a bachelor's degree, gaining certification in a specific field, such as in drug and alcohol abuse counseling, can also increase job prospects for a graduate. Recent grads may find positions at substance abuse treatment centers, community health centers, vocational rehabilitation offices, and health clinics. Some graduates with a bachelor's in counseling may also branch into sales, management and customer service. If you are interested in pursuing a Bachelor’s Degree, request program information from either Campus and Online schools. Some counseling jobs require an applicant to possess a master's degree. For example, all states require mental health counselors to possess a master's degree and a license to practice. Students with a bachelor's degree in most fields can gain acceptance into an advanced degree program, where they learn how to recognize the symptoms of mental and emotional disorders. Along with a master's degree, mental health counselors must complete 2,000 to 4,000 hours of supervised clinical experience, and pass a state-recognized exam related to their field. Working alongside teachers, administrators and school psychologists, education counselors must achieve a master's degree, complete an internship or practicum, and have a state-issued credential to practice. Coursework may include learning about multicultural counseling, human development in adolescence and young adulthood, as well as career development education (in the case of career counseling on the high school and collegiate level). A graduate studies program for a rehabilitation counselor typically includes coursework regarding various aspects of disability, social and cultural diversity, as well as counseling theory and techniques. In addition to completing direct clinical hours, students need to successfully finish core course requirements. Most training comes in the form of an internship within a rehabilitation setting where students have the chance to work with patients from wide-ranging social backgrounds. A substance abuse or addiction counselor typically enrolls in a master's degree program in psychology, and then goes on to earn licensure. They are also able to provide more services to their clients, such as private one-on-one counseling sessions. Counselors with a master's degree also require less supervision than those with less education. 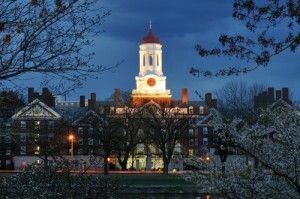 Students pursuing a master's degree may also conduct research. During a master's degree program, graduate students receive guidance and experience from licensed faculty so that they may meet the requirements for state and national licensure, which typically requires about 2,000 to 3,000 hours of supervised clinical experience. If you are interested in pursuing a Master’s Degree, request program information from either Campus and Online schools. A professional with a master's degree may consider earning a doctoral degree in Counseling if they show an interest in working in an academic setting, pursuing his or her research dreams, or filling a position in administration. The advanced degree also opens more doors and increases the chances of landing a higher-paying, competitive job position. 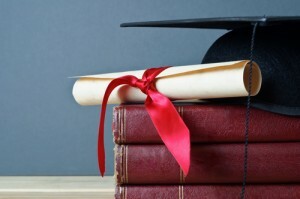 Depending on the school, some Ph.D. programs do not require a master's degree, but will typically require extra study for non-master's degree holders. Coursework for a Ph.D. in Counseling may include classes on advanced studies of clinical assessment, individual counseling practice, family therapy, and research designs. The typical doctorate programs takes about five to seven years of targeted study and research, in addition to completing a series of educational prerequisites. Students often undergo a supervised internship, take comprehensive exams, conduct research, and write a dissertation. Job possibilities for graduates of a doctorate program in Counseling include university professors, professional counselors with a private practice, or clinical supervisor. Advanced practitioners with a doctorate degree may work in a public or private practice as a licensed professional counselor. Some will specialize in a specific field of counseling, such as pastoral counseling or marriage counseling. Depending on specific fields of interest and desired career goals, the educational path of an aspiring counselor is wide-ranging. Some students enter the field straight out of high school after gaining certification to assist in community health centers and clinics. Many graduates pursue an advanced degree, such as a master's degree, and then go on to fulfill between 2,000 and 4,000 hours of clinical experience under supervision, which is required for earning licensure to become a counselor. They may then opt to set up a private practice. Getting certified in counseling also helps establish a professional within the community and speaks volumes amongst his or her peers. The field also offers plenty of opportunities to earn annual continuing education credits, which is required to maintain a certification. If you are interested in finding a school that meets your level of educational need start by browsing the featured programs below. Many of them offer online and campus programs. Learn more about their offerings by requesting more information.